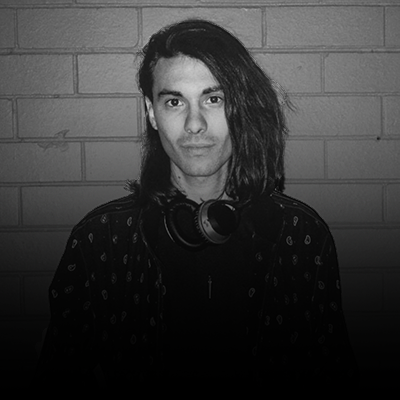 HYPER REELIST IS THE MONIKER OF JOBE WILLIAMS, A MELBOURNE BASED AUDIO VISUAL ARTIST, MULTIMEDIA CREATIVE, TECHNOLOGIST & PERFORMER. Jobe williams known by his moniker HYPER REELIST, has an interdisciplinary practice that is engaged in new-media explorations with the mediums of light & sound, and methods of synchronicity and interactivity. His work, grounded in the framework of phenomenology, takes form in the experiential: real-time based audio visual installation, sculpture & performances that mesmerise. Investigating aspects of the synaesthetic phenomenon through multi-sensory mechanical processes, he explores computer based technology’s innate ability for abstraction, modulating sensory data in a process of digital harmonisation to develop a new crossmodal aesthetic. The function of the immersive spectacles he creates is to integrate the illusive qualities of perception and reveal impressions of the ethereality of nature. This subverts much of digital technologies affect on human consciousness as a distractive and simulative device, and thus seeks to transcend the physical and artificial spaces we now co-inhabit. Overcoming theses boundaries as well as the sensory modalities, his work disrupts the divisions of music, art, technology, science and design. Consistently maintaining a strong collaborative approach to production, he often works with others to achieve what only teamwork can.